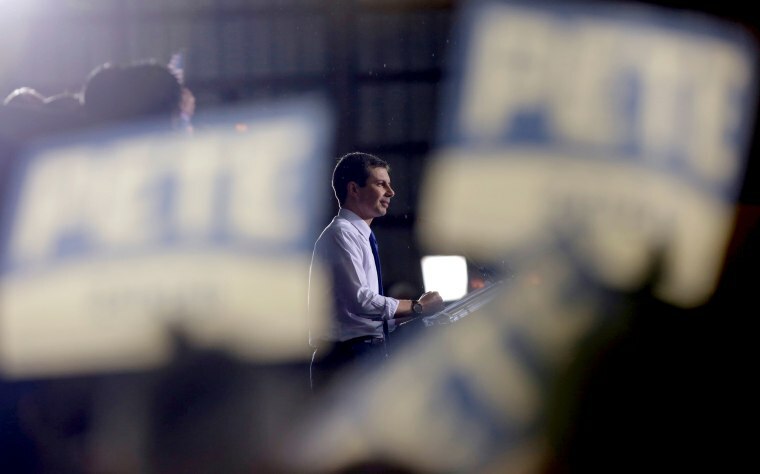 The Democratic presidential candidate is leaning into discussions on faith but conservative activists aren't buying it. “He hasn’t gone negative. Most of the time when he talks about faith it’s the positive things in his life and the positive vision it gives him for governing," Wear said. "It’s left Republicans pretty flat-footed." “Donald Trump will stand up for the sanctity of human life and the sacredness of life and the unborn child. And Pete Buttigieg and others will say, ‘No, I'm OK with abortion on demand, and even maybe a born-alive bill,’ which is completely contrary to the Christian faith,” Vander Plaats told NBC News.